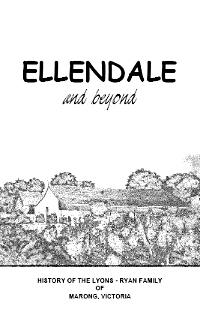 This November 2012 version is an update of the document which was originally produced in 1997 and distributed to descendants of Patrick and Ellen Lyons. The updated version is in PDF format and requires Adobe Acrobat Reader to view and print the document. Note that the file is password protected (to protect the privacy of persons currently living). After downloading, please contact me for access to the password (usually limited to descendants of Patrick and Ellen Lyons and others with a genuine interest in the Lyons-Ryan family). Details of changes between the updated and 1997 versions can be found here. Rear; Thomas Lyons, Brigid Lyons, James Hart, Ellen Agnes (Cis) Bowen (nee Lyons), George Bowen. 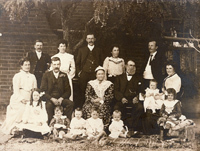 Front; Dorothy Armstrong, four Roberts and Bowen children, Marguerita Roberts. 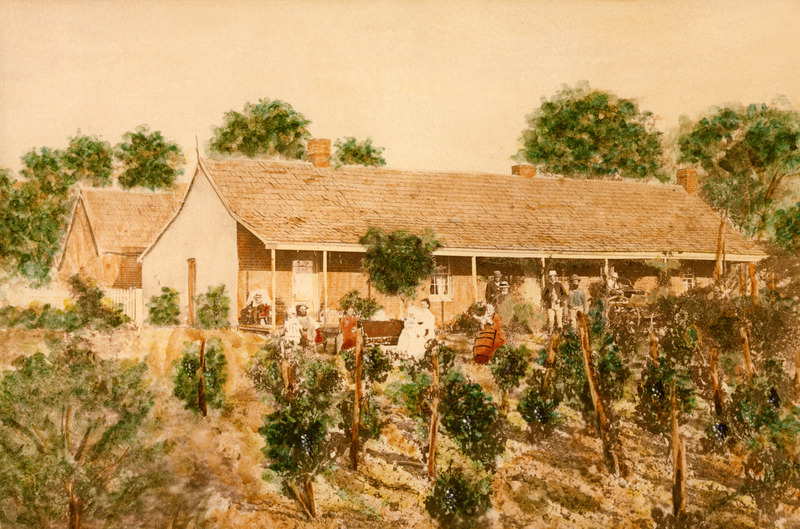 This photograph shows the homestead, which faces Bullock Creek about 100 metres away through what appears to be a small orchard. Numerous people can be seen but it is not possible to identify any. The building at the rear probably included a kitchen. The main building still exists (2012) although it has long been abandoned as a dwelling. It can be seen on Google Maps at Latitude: 36.710231 S; Longitude: 144.122665 E.